Just One Day. Just One Year. Just One Listen. 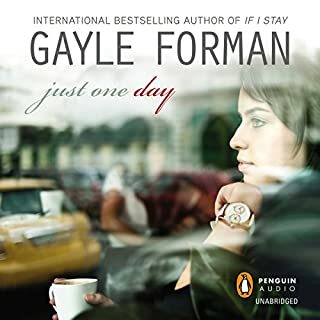 The romantic, emotional companion to Just One Day, this is a story of the choices we make and the accidents that happen - and the happiness we can find when the two intersect. After spending a perfect day with "Lulu", Willem wakes up in the hospital, with Lulu nowhere in sight. Willem retraces his steps to discover how he ended up in the hospital and sets out to find Lulu. 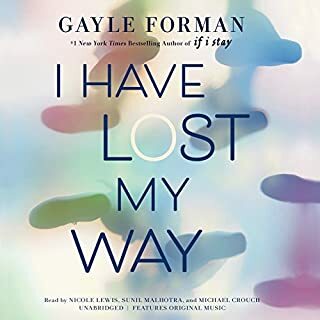 Along the way he tells the story of his family and the great disconnect between his mother and himself, and learns more about himself then he thought he knew. I don't read a lot of contemporary YA fiction. I have a couple of favorite authors that write contemporary YA fiction and I generally try to read/listen to their books. These include Maureen Johnson, John Green, Rainbow Rowell and Gayle Forman. 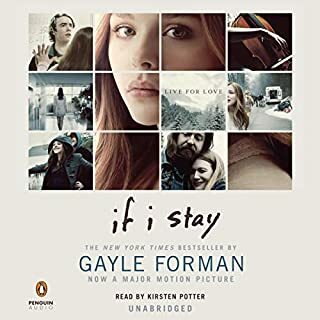 I loved the If I Stay/Where She Went books and also Just One Day (the first half of this series). I'd heard mixed reviews about Just One Year, but I decided I needed to know how Willem and Lulu's journey would end. After having finished the audiobook of Just One Year, I have to say this was the story that "I" wanted told. It might not be the story that everyone wanted to hear, but it was the one I wanted. I wanted to know why Willem had been travelling for so long, never stopping long, never spending any real time with anyone. In Just One Year we find out why he is this way and what it takes to make him keep his roots in Amsterdam. 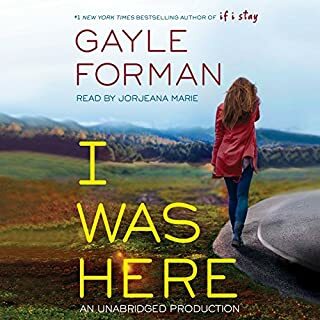 We find out the story of his past and his family, and how the disconnect between his mother and himself and his Uncle starts to narrow and they become more of a family. We delve into his acting and feel his passion for it. It is a beautiful story. 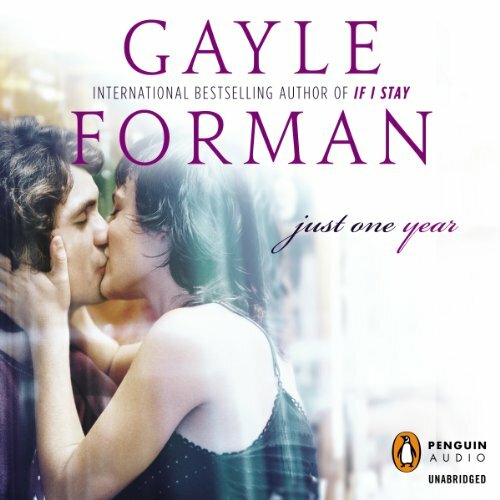 Gayle Forman writes a beautiful story, and I enjoyed every minute of it. Loving travel myself, I loved all of Willem's travels from India to Amsterdam to Cancun - it was a great a adventure! I loved all the colorful people he meets on the way and we meet his friends in Amsterdam and his family. It was a great story and even though I personally would've liked more Lulu, I still loved every second of it. Daniel May narrates Just One Year and gives a great voice to the character of Willem. There is a diversity of accents in this book and he delivers them all superbly. I wouldn't hesitate recommending this series to YA fans. I do recommend starting with Just One Day though to get the full experience of these two books. Love the narration! I could really feel the story and visualive the characters, scenery, everything. Performance was amazing; substance of story was incredibly rich; and ending was pleasantly perfect. I loved this book so much more than the whiny Lulu character’s story. Can’t wait to read it again! This was an interesting, well written, well performed, book, but was kinda all over the place. It had a lot of smaller secondary characters and different settings, that were difficult to keep track of. 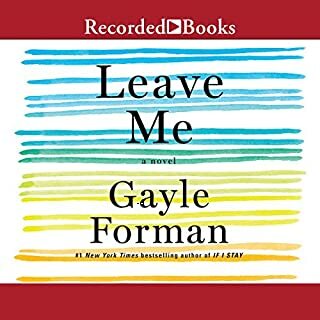 I’d encourage someone to read the physical book, not listen to it on audible. I love these books. This narrator seems to be doing an awful William Shatter impression. so disappointed. I don't know if I can finish it. If you could sum up Just One Year in three words, what would they be? The continuation from the male perspective is amazing. Loved getting to know him,and what he was thinking the whole time. Well done. I am not even to the end of the story and I don't know if I will make it. 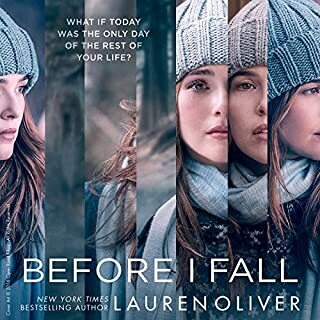 I so wanted to find out what happened after Willem and "Lulu" found each other, but I can see that will not happen in this book. I find Willem's story to be dragging on to the point that I just want to fast forward to the end of the book. Maybe it just isn't my taste, but I am finding it to be VERY boring! I get that the author maybe was trying to fill in some gaps that we missed in the first book, which is great, but it doesn't need to be a whole book of Willem telling uninteresting stories that have no relation to the love story. Very disappointed!